A typical Icelandic big vista. 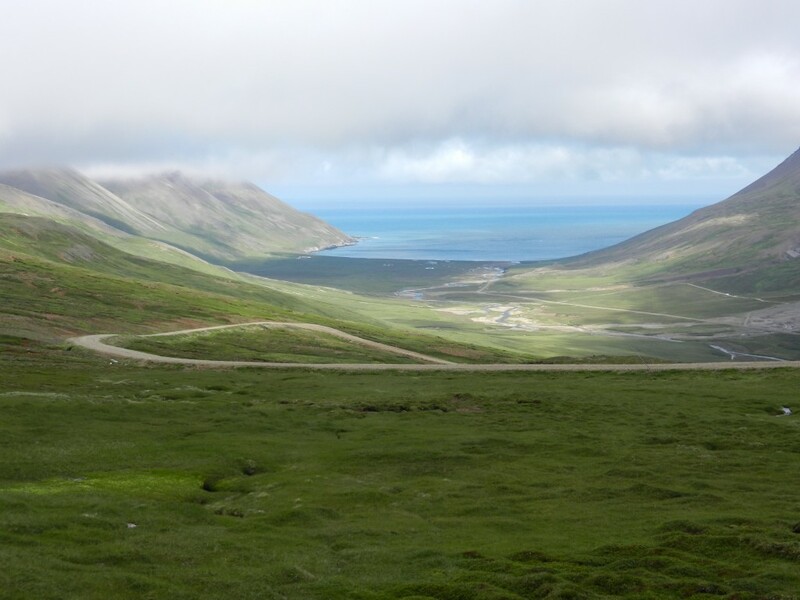 What better way to start the day than a two-hour ride through the empty vastness of Iceland’s coast? The ride was far more technically challenging, and exciting, than any of our previous rides as almost the entirety of the time was spent off- track. The first half was picking our way over a tussock-covered moorland. The Great Skuas obviously found the horses more threatening than just a person as we were dive-bombed by them almost constantly – never seriously close, but always with an intent to warn us away. The second half of the ride was along a black beach beside a bi-coloured estuary. The estuary is where two rivers meet – one clear, the other milky with glacial rock. The estuary is also where the seals come to bask and swim. 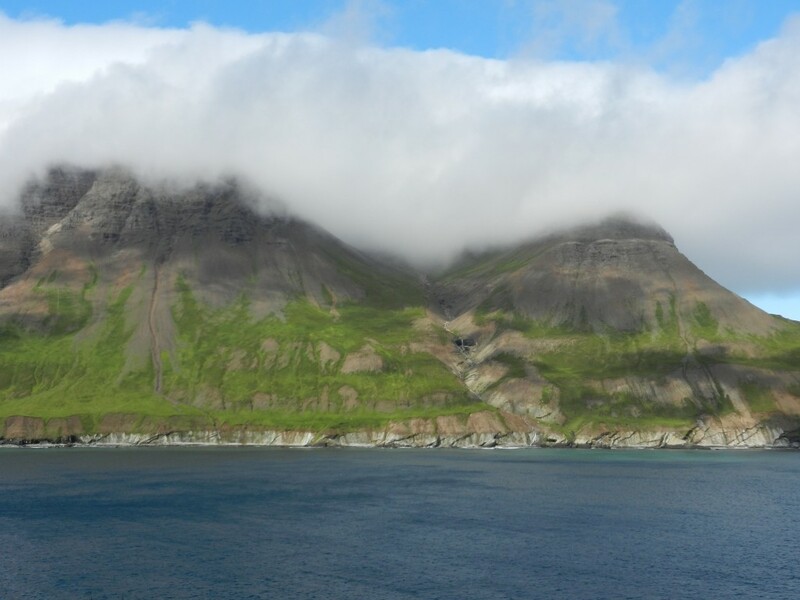 A cold wind blew in from the Greenland Sea as we rode through an enormous bowl, the sides made up by deep green mountains and the lid by solid white cloud. 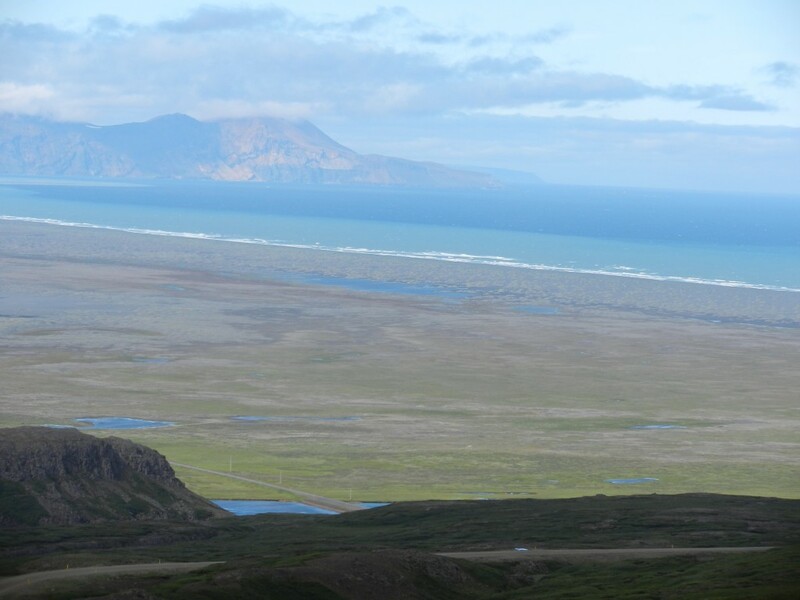 It’s hard to describe the sheer size of the Icelandic vistas. Australia is huge but you’re rarely high enough to get a complete sense of distance. Here you can see for miles and miles: roads disappear to vanishing point in the distance; houses are mere dots, mountains look small. The scale is extraordinary and humbling. And empty. Strangely enough there often seem to be bright spots of sunlight in places where we are not. And around here, everywhere you look you find a rainbow as the sun refracts of the ever-present mist and clouds. After our ride was another long drive along dirt roads and over a mountain pass. The pass was a smaller version of the pass from hell yesterday: it ticked all the same boxes, just not for so long. Down the other side we came into another huge glacial valley and then headed to the coast. A lot of the driving for the last few days has been doubled in length as we go along one side of a river, over a bridge and up the other side. So yesterday we drove about 100km to reach a point that as about 2km from our starting point on the other side of the river. Anyway the coast road is famous for its scree mountains. The road is a thin sliver cut out of a mountain of scree above the sea. Above and below is just deep-brown loose rock. The view back along the coast was absolutely amazing. 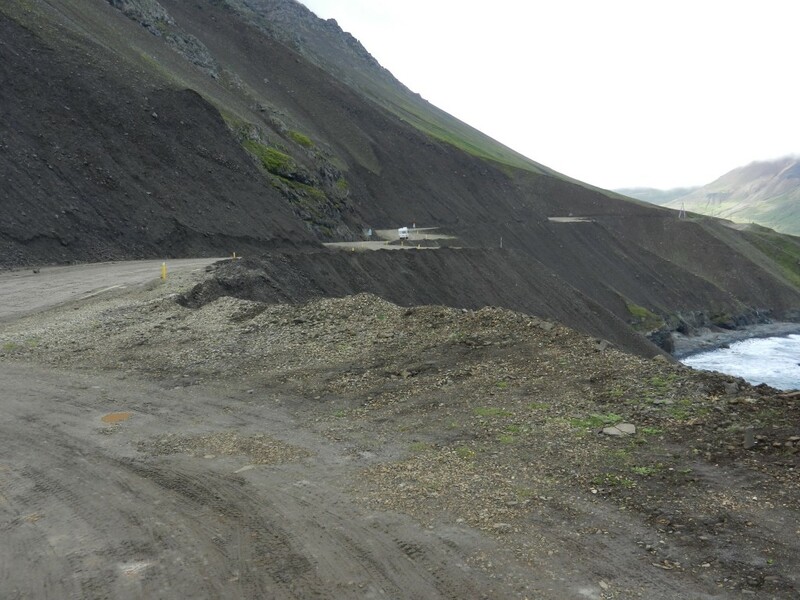 At the end of this road is the area officially considered to be the remotest in all Iceland. Funnily enough although it’s technically remote it feels a lot less so than our last few nights. There’s a tiny shop and a lovely cafe which shares space with a fish-processing plant. 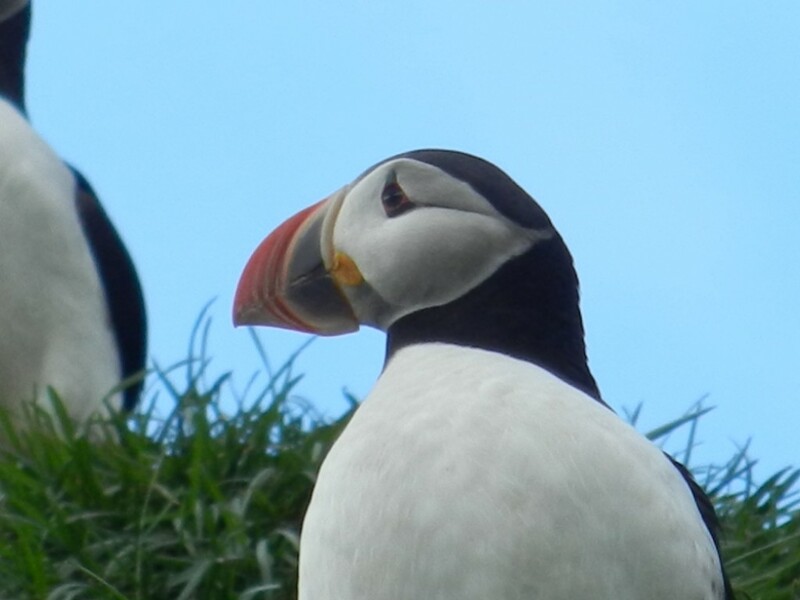 The main reason for coming here is bird watching, and in particular the puffins. Five kilometres up the coast from Borgarfjordur Eysti is a small harbour and when you climb some steps you’re confronted with a huge rock which has puffins all over it. We were all completely thrilled to see these strange and colourful birds in life. 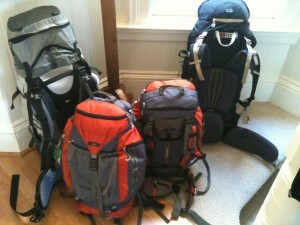 And after seeing puffins who could not search of elves? One of the interesting things about Iceland is that the people still have a real belief in elves and fairies. 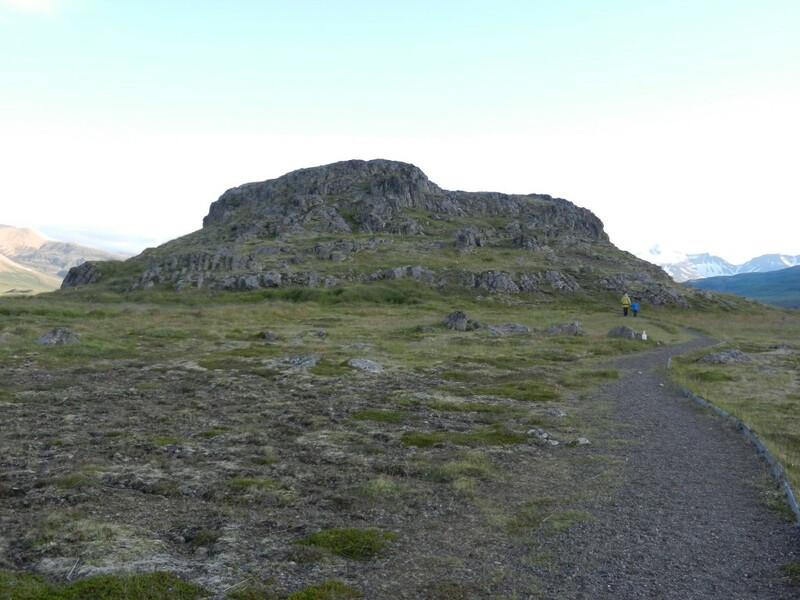 Alfborg, or Elfcity, is a large rock in the centre of Borgarfjordur Eysti and a place known for its elves. Young couples used to walk around it of an evening for luck. We walked up to its summit for a lovely view but sadly saw no sign of elves on the way. Callum in the Borgarfjordur Eysti cafe. View from our hostel bedroom.